These smoked salmon Philadelphia rolls taste like the Philly rolls you can get at your local restaurants. Learn how to make this popular twist on sushi rolls and serve them for an appetizer at your next party. What is a Philadelphia roll? A Philadelphia roll is an American style sushi roll. It is filled with sticky rice, smoked salmon, cucumber, and cream cheese, then wrapped in a dried seaweed sheet called nori. Sometimes there is avocado in the filling. After the fillings get rolled into a long log, it is sliced into bite-sized portions. 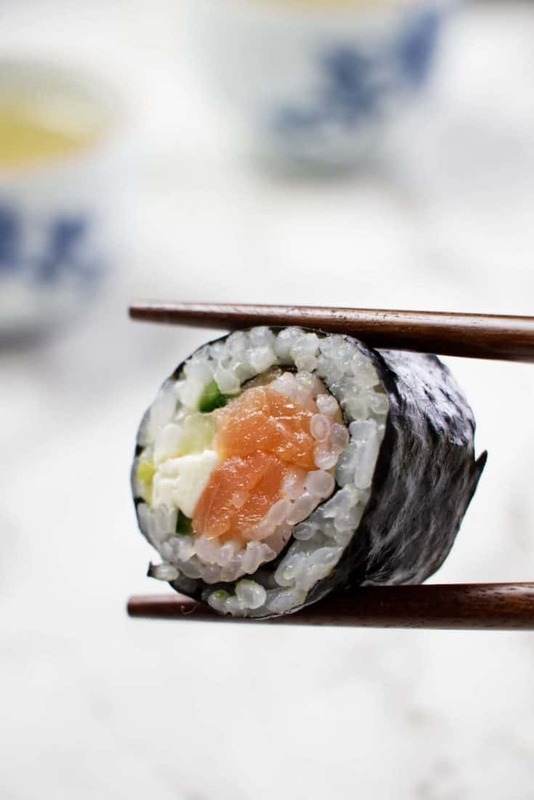 A smoked salmon Philadelphia roll is also called a Philly roll or smoked salmon sushi. Although it is by no means, an authentic Japanese sushi roll, it is an excellent introduction to sushi. My husband got hooked on sushi after eating a Philly roll. When we first met, he wouldn’t even consider eating sushi. However, when I explained that a Philly roll has all the things he likes, he gave it a try. Now he even likes traditional Japanese sushi. A traditional Japanese restaurant that is true to its roots would never serve a Philadelphia roll. As a matter of fact, a traditional Japanese restaurant would likely act insulted if you ask for a Philly roll. Nevertheless, many Asian-fusion style restaurants have adapted this Americanized version of sushi rolls. If you’re new to sushi, this is a great way to get started with a super fun cuisine. What ingredients are in a Philadelphia roll? Take a look at the short list of ingredients used to make a Philadelphia roll. That’s all there is to it. 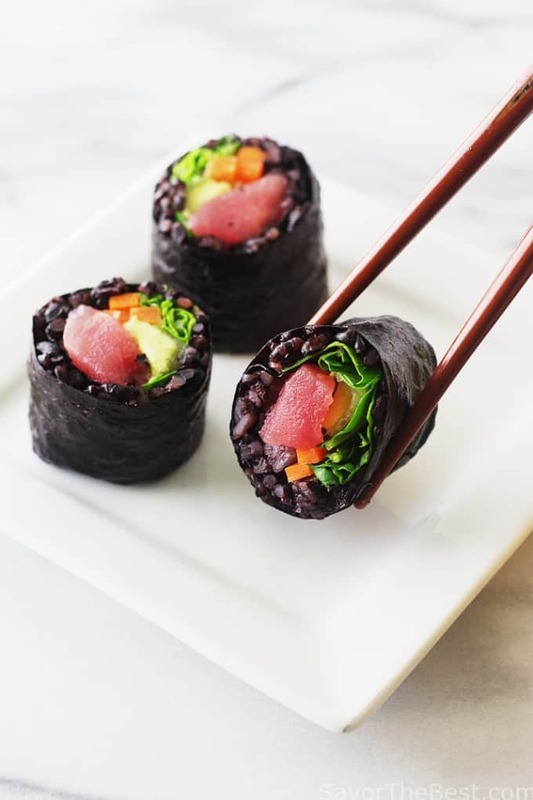 All you have to do is make your sushi rice then start rolling some sushi. It is best to eat sushi rice and these Philly rolls while they are still fresh. 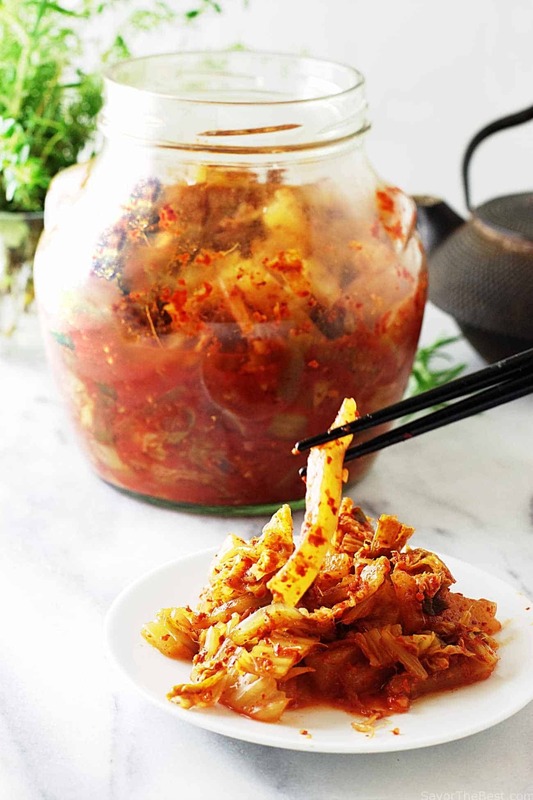 If you make them a day in advance, the rice will dry out, and it simply won’t taste as good. 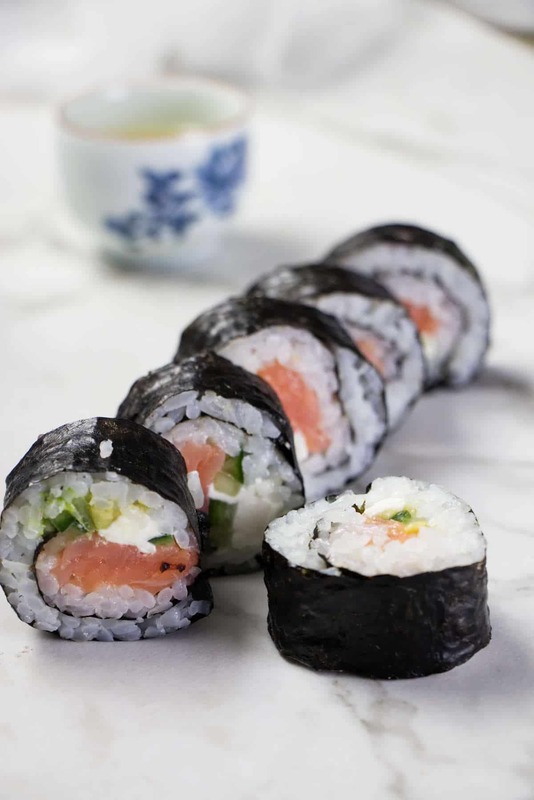 We used cold smoked salmon when we made these Philly rolls, but they would be just as delicious with hot smoked salmon. How do you make smoked salmon Philadelphia rolls? 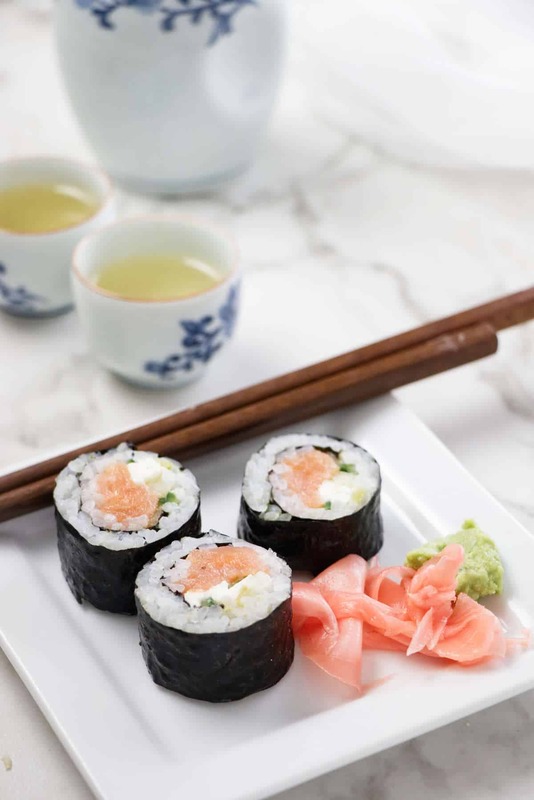 Philadelphia rolls and other types of sushi rolls are actually quite easy and fun to make. Our video will show you how easy it really is. A bamboo sushi mat makes the process simple. Grab one of those bamboo mats and make some smoked salmon sushi. First, place a sheet of nori seaweed on a bamboo mat then spread it with some sticky sushi rice. Next, grab your fillings. Place the smoked salmon, cream cheese, cucumber, and avocado in a strip near the edge of the rice. Use the bamboo mat to roll the seaweed over all the fillings. As you roll the bamboo mat away from you, keep folding the edge back toward yourself. Give the mat a good squeeze to pack the fillings in firmly and hold the roll together. After creating a cylindrical log, slice the roll into bite-size pieces. Give this a shot! Eating sushi is fun, and it makes a great appetizer for cocktail parties. Heck, you could have some fun by having your guests make their own sushi rolls. Just put out all the fixings along with a few bamboo mats and watch your guests have a blast making sushi rolls. Is smoked salmon cooked or raw? Smoked salmon is made either by cold smoking or hot smoking. Hot smoked salmon is smoked at temperatures over 120°F for as long as 12 hours. This method is sufficient to thoroughly cook the salmon, giving it a firm flaky texture. When processing cold smoked salmon, the temperatures are typically below 80°F for at least 6 hours. Sometimes the process time lasts as long as 48 hours. Cold smoked salmon is not cooked but it is cured. 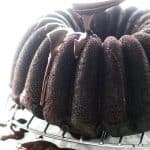 The result is a softer, silkier texture. Since hot smoked salmon is completely cooked, it is just as safe to eat as any other cooked meat. 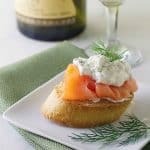 Although cold smoked salmon is not cooked, it is preserved by brining it in a salty mixture. This method of preserving meat is an ancient practice used to store meat without refrigeration. If cold smoked salmon is not processed correctly, it could be unsafe to consume. Make sure you purchase your cold smoked salmon from a reputable manufacturer. Preferably not your next door neighbor. When it comes to eating cured meat, use sound judgment. And if you’re pregnant or have a weakened immune system it is best to avoid undercooked or raw meat altogether. Check out our video and see how easy it is to make these smoked salmon Philadelphia rolls (AKA Philly rolls). Then invite your friends over and have a sushi making party. 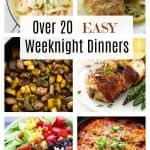 Here are some more recipes you might like. 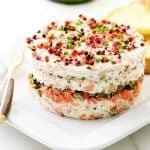 These smoked salmon Philadelphia rolls (aka Philly rolls) taste just like the rolls you can get at your local restaurants. They are filled with smoked salmon, cream cheese, cucumber, and avocado. Make the sushi rice. See the instructions below. Once the sushi rice is ready, set all the ingredients out on your counter. Place a seaweed sheet (shiny side down) on a bamboo mat. Cover the seaweed sheet with the sushi rice. Arrange the smoked salmon, cream cheese, cucumber, and avocado slices on top of the rice. 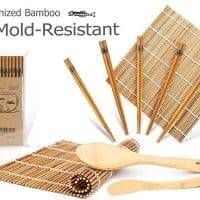 Use the bamboo sheet to lift and roll the sheet. Press down as you roll the sheet up so it stays compressed tightly. Slice the roll into six to eight pieces. It is helpful to have a wet towel nearby to wipe the knife blade with after each slice. Rinse the rice grains in cool water until the water is clear. Place the rice and the 2 cups of water in a large saucepan and bring to a boil. When the water starts to boil, turn the heat to low and put the lid on. Cook, covered for 15 minutes. Then remove it from the heat and let it sit, still covered for 10 more minutes. Let the rice cool down. 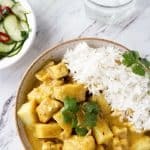 While the rice is cooling, place the vinegar, sugar and salt in a saucepan or microwaveable bowl and heat until the sugar is dissolved. Place the rice in a wooden or glass bowl. Slowly pour the vinegar mixture over the rice and fold/stir until the rice is coated with the vinegar. Use a slicing and folding motion to separate the grains and ensure they get completely coated. Keep the rice covered with a damp towel until you are ready to make your sushi rolls. The recipe for the sushi rice will make 4 cups of cooked rice. You can cut the recipe in half if you don't want extra rice. Keep a bowl of water nearby to wet your hands with. If you dip your hands in the water, the sushi rice will not stick to them. Use a super sharp knife to slice the sushi rolls. Have a damp towel nearby and wipe the knife clean after each slice. This will wipe the sticky rice off the knife and make it easier to have a clean cut. 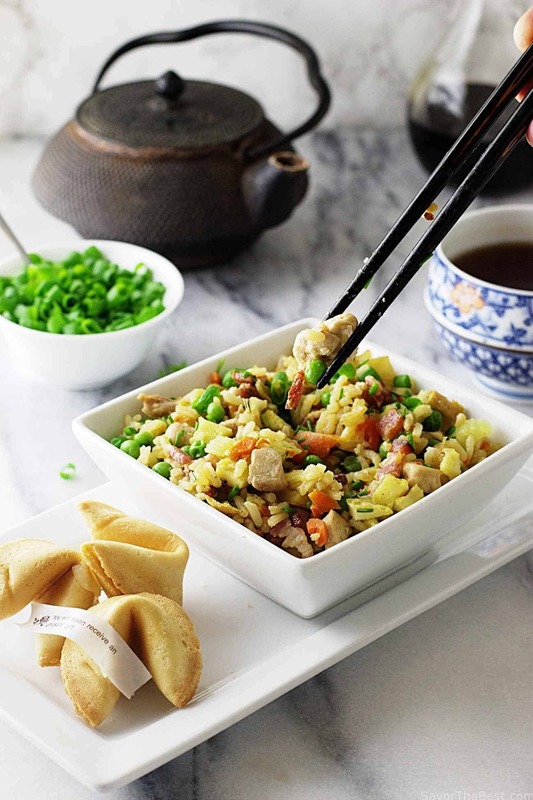 When you make your sushi rice, use a wooden bowl or a glass bowl to mix the vinegar into the rice. Do not use a metal bowl or metal utensils or you will end up with a metallic taste. Have you made a Philly roll? 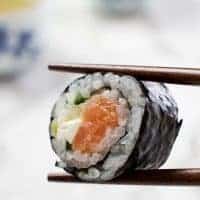 We would love to hear from you, drop us a comment and tell us how your smoked salmon sushi turned out. Wow! 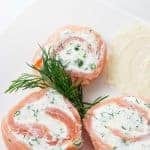 These Salmon Rolls look amazing! I need to make sushi rolls at home for sure! Pinned! Thanks Shanika, I hope you have as much fun with this as we do. Absolutely Adriana, it really isn’t hard at all. Holy moly! These rolls look amazing! I only wish I were brave enough to try making sushi! Emily, it really isn’t difficult, you would be surprised how easy and fun it is to do. 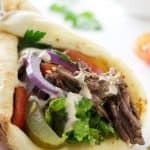 I would eat all of these Philly rolls so quickly! They look delicious. I’ve never tried to make my own sushi rolls before, but I love your video and the instructions are so detailed. I need to give it a try.